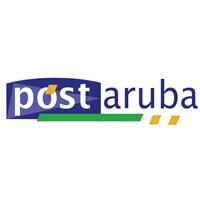 Post Aruba is the Agent in Aruba for EMS (express mail service) international express courier parcel freight and mail services. Easily the best and most reliable way for members of the public to send international parcels. One off, no account needed. Fill out the sender and receiver details, sign the dangerous goods declaration and all at Post Aruba. Send to over 190 Universal Postal Union member Countries via local post offices to the majority of the World. To send or have an item picked up and delivered back to Aruba call the customer service number below.